One of the Gateways to the Air Force for future officers is the United States Air Force Academy in Colorado Springs, Colorado. While earning their bachelor’s degree, military cadets participate in a rigorous athletic program and are instructed in how to lead others as an officer in the Air Force. In part 1 of our series, Pagans receive warm welcome at the ‘Gateways to the Air Force,’ we looked at Lackland AFB, where enlisted trainees attend Basic Military Training. In part 2, we take a closer look at the Air Force Academy (AFA) through interviews with Pagan faith group leaders, an Academy Chaplain, and a current Pagan Academy cadet. 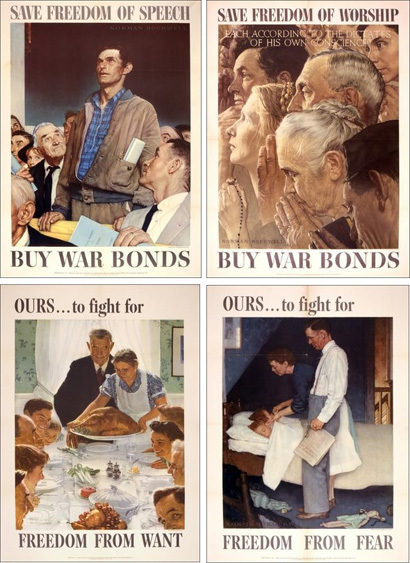 The accounts of aggressive proselytizing of cadets by Evangelicals at the Academy worried civil rights activists as this influences the next crop of officers, planting the seeds to change the culture of the Air Force to a more repressive atmosphere. How did the Academy change from being a perceived bastion of aggressive Evangelicalism to the open and inclusive institution Cadet Johnson is experiencing? A major step was taken when the Academy hosted the Conference on Religious Respect in 2008 and again in 2010. The conference examines how the Academy can create a climate of religious respect and equip its future officers with the skills needed to ensure religious beliefs are respected and accommodated. Out of the 2008 conference the Cadet Interfaith Council was formed, the Religious Respect Training program was launched, and support was increased for the Spiritual Programs in Religious Education (SPIRE). SPIRE is time blocked off each Monday evening for cadets to meet and discuss spirituality. In addition to SPIRE time, Earth-Centered Spirituality cadets also celebrate the Sabbats, go on a Freshman retreat, and enjoy an annual Spring retreat. The third initiative to come out of the 2008 conference is what the Academy calls its “cornerstone religious diversity program,” the Religious Respect Training program for cadets, faculty and staff. The program is unique to the Air Force Academy as no other military academy or university has a program quite like it. It includes in-depth training on the First Amendment, and the Establishment, Free Exercise, and Free Speech clauses of the US Constitution. The program is modular and cadets have six hours of scenario and mission focused training on religious respect during their four years at the Academy. The Academy hopes this program assists future officers in creating a climate where airmen under their command feel free to request religious accommodation. The most visible result of the renewed commitment to free exercise of religion is the creation of Cadet Chapel Falcon Circle. Falcon Circle, which sits on a hill, came into existence through the efforts of a former cadet wing chaplain, Chap. William Ziegler and former Earth-Centered Spirituality Distinctive Faith Group Leader (DFGL), Tech Sgt. Brandon Longcrier, who is currently deployed in Afghanistan. In 2006 Tech Sgt. 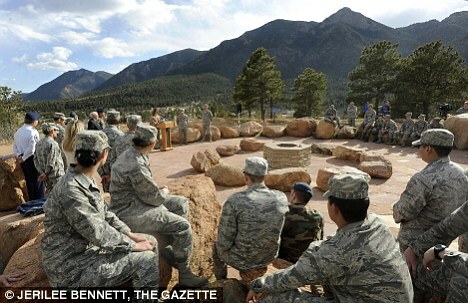 Longcrier and Reserve Major Kelly Ihme started a Wiccan circle at the Air Force Academy. They were able to instruct cadets because of two organizations – Sacred Well Congregation and the Air Force Academy’s SPIRE program. SPIRE was created in the early 1990’s to provide religious accommodation to faith groups not served by a chaplain of their faith. Longcrier contacted Sacred Well Congregation, which was already the Denominational Sponsor for other Pagan military faith groups, to sponsor him as a Distinctive Faith Group Leader (DFGL) for the Academy. Sacred Well Congregation agreed and the request was approved by the Command Chaplain at the AFA. Longcrier and Ihme could now form a faith group on campus. The faith group went through a few name changes before they settled on Earth-Centered Spirituality. Originally called a Wiccan group, they later changed it to Pagan. Major Ihme, a mental health nurse and current DFGL at the Academy, says there’s a good reason for their present name, “[Earth-Centered Spirituality] is less threatening, especially to civilians living in the Colorado Springs area. We’re also want to be inclusive of Native American religions.” Nearby Ft. Carson has a sweat lodge and Ihme would like to cooperate with them, but they’re just beginning to explore the possibility. Ihme said that although there were early incidents at Falcon Circle, that is no longer the case, “At first there was some problems with Christians praying for our sins and some acts of vandalism [at the Circle] but no one besides us goes up there now. The site is very secure now with cameras running 24/7.” Ihme said the Circle is a peaceful place that seems far more remote than the short walk up the hill would indicate. Cadet Johnson describes Falcon Circle as a needed oasis of tranquility, “I go there during the day sometimes. It’s very stressful here so getting away from the academy is important. I can go and center myself and get more in touch with nature.” Johnson says in the four years she’s been at the Academy she’s never experienced a problem with religious discrimination or harassment. Editor’s note: There was too much valuable and interesting material from interviews to include in this article. PNC-Minnesota will publish full interview transcripts next week. Thank you, Cara, for yet another wonderful article! I cannot begin to tell you how much articles like this mean to our pagan military members, and how much it helps us collectively establish our faith group as an integral part of the pluralistic ministries of our military chaplains. And I cannot tell you how much articles like this inform, raise the awareness and enhance the respect and support that military pagans recieve from the greater pagan community. Thankfully, gone are the days in which military pagans were not particularly welcome in either our own greater faith community or the pluralisic military faith communies. Thank you again for your great and vital work. No, Dr. Oringderff – thank you for your years of dedicated service. Holy freakin cow! That is one impressive ritual space. I’m jealous. Cara, thanks for these insightful stories.